My DNA Jamaican Black Castor Oils are powerful, universal in usage, treatment oils that maintain their own DNA nutritive beneficial properties of moisturizing, soothing and strengthening for hair, scalp and/or skin. 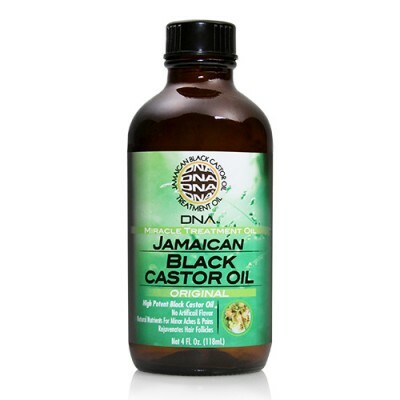 DIRECTIONS: HAIR & SCALP: Apply a small amount of pure My DNA® ORIGINAL daily or as needed to roots and scalp of the hair. Massage into scalp or onto hair, using fingertips to help stimulate circulation. Leave in or rinse out after 20 minutes. SKIN: Apply liberally to hands, feet and/or cuticles. Massage in to soften and help eliminate dryness. SOAK: Pour a liberal amount into warm water for a soothing bath. HOT OIL TREATMENT: Apply to hair and scalp, cover with a plastic cap. Sit under a warm dryer (or use a moist warm towel over the plastic cap) for 15-20 minutes to help open the cuticles. Rinse and style.